The Erie Canalway National Heritage Corridor Commission has announced the recipient of the 2013 Erie Canalway Heritage Award of Excellence: Enlarged Erie Lock 60 and Gallup’s Change Bridge #39 in Macedon, Monroe County. Honorable Mentions were awarded to Bushnell’s Basin Boat Dock and Canal Amenity Center in the Town of Perinton and the Trail of Hope in Lyons. The Heritage Award honors significant places of the Erie Canalway National Heritage Corridor and recognizes excellence in advancing the goals of the Erie Canalway Preservation and Management Plan. A five-person independent jury selected award recipients based on a written application and site visit, which included meetings with officials at each site, as well as community leaders, municipal representatives, and other stakeholders. A 25-year preservation effort in the Town of Macedon showcases an authentic and irreplaceable part of our nation’s canal heritage. 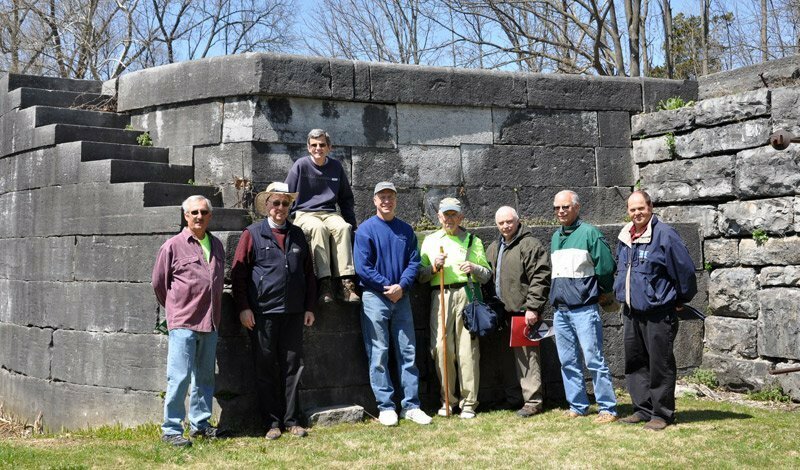 Countless volunteers worked in collaboration with the Town and Village of Macedon, community and service organizations, and businesses to preserve Enlarged Erie Lock 60 and bridge abutments at Gallup’s Change Bridge #39. Once completely overgrown and forgotten by time, these historic canal sites have been transformed into a park that is accessible to visitors coming by boat, bike, footpath, and car. Lock 60 is one of the finest surviving locks of the Enlarged Erie Canal. Opened in 1841, the lock was later doubled and lengthened to meet the demands of canal traffic. Each stone chamber is 18-feet wide by 110-feet long. 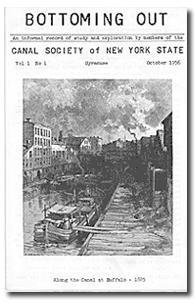 The lock was abandoned in 1914 and replaced by Lock 30 of the Erie Barge Canal. The historic canal sites are located within a 1-mile stretch along the Erie Canal and Erie Canalway Trail that features numerous preserved canal structures from the 1800s. Together with nearby restored Aldrich Change Bridge and Palmrya Aqueduct at Macedon-Palmyra Park, Lock 60 and Gallup’s Change Bridge present visitors an unparalleled opportunity to envision the Erie Canal of the 1800s while also enjoying today’s canal and trail. 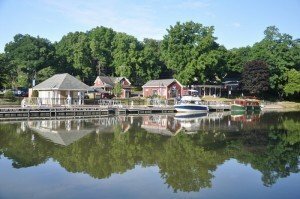 Bushnell’s Basin has become a vibrant destination for Erie Canal travelers, thanks to outstanding planning and project implementation by the Town of Perinton, working in partnership with business owners and residents. Though Bushnell’s Basin has served canal travelers since the construction of the Erie Canal in the 1820s, it needed 21st century improvements to attract today’s boaters and cyclists, as well as better serve local residents. Beginning in 2005 with the Bushnell’s Basin Canal Access Plan and completed in 2011, the Town of Perinton improved waterfront access and added amenities. These include: a 250-foot public dock, kayak/canoe access, restrooms and showers, interpretive and wayfinding signs, new lighting, walkways, landscaping, picnic areas, trail improvements, and parking. As a result, Bushnell’s Basin attracted more than 135 overnight boaters in 2012, and draws thousands of residents and visitors each year to local businesses and its waterfront. 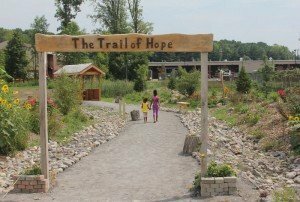 The transformation of a forlorn parcel of land behind the community center in the Village of Lyons into attractive gardens and a fully accessible trail is touching the lives of the volunteers who create and maintain it and those who visit this “miracle garden” near the Erie Canal. A “Forever Wild for Everyone” project of Trail Works, Inc., in collaboration with Cornell Cooperative Extension of Wayne County and the Lyons Community Center, the quarter-mile Trail of Hope is designed to enable people of all ages and abilities to experience nature. Heritage award recipients will be recognized at an award ceremony on Wednesday, June 26, 2013 at noon following the Erie Canalway National Heritage Corridor Commission annual meeting at the Palmyra Community Library, 402 East Main St, Palmyra. 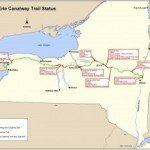 The Erie Canalway National Heritage Corridor spans 524 miles across the full expanse of upstate New York, encompassing the Erie, Cayuga-Seneca, Oswego, and Champlain canals and their historic alignments, as well as more than 230 canal communities. 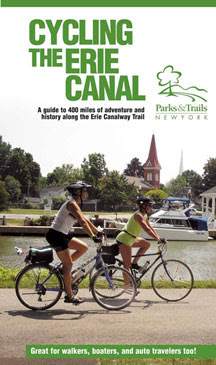 Erie Canalway National Heritage Corridor Commission and the Erie Canalway Heritage Fund work in partnership to preserve our extraordinary heritage, to promote the Corridor as a world class tourism destination, and to foster vibrant communities connected by the waterway. Photos: Enlarged Erie Lock 60, Bushnell’s Basin Canal Access Improvements, Trail of Hope. Stop down and see us on Heritage Weekend at the Palmyra Historical Museum, 132 Market Street, Palmyra NY. All 5 museums are open, special docents will be showing you around the museums. Regular admissions apply. June 1-2 and 8-9th.